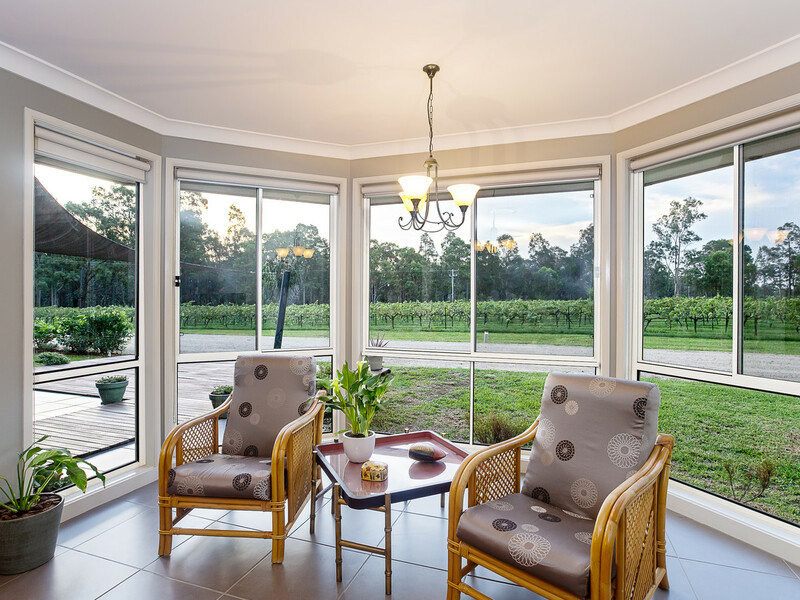 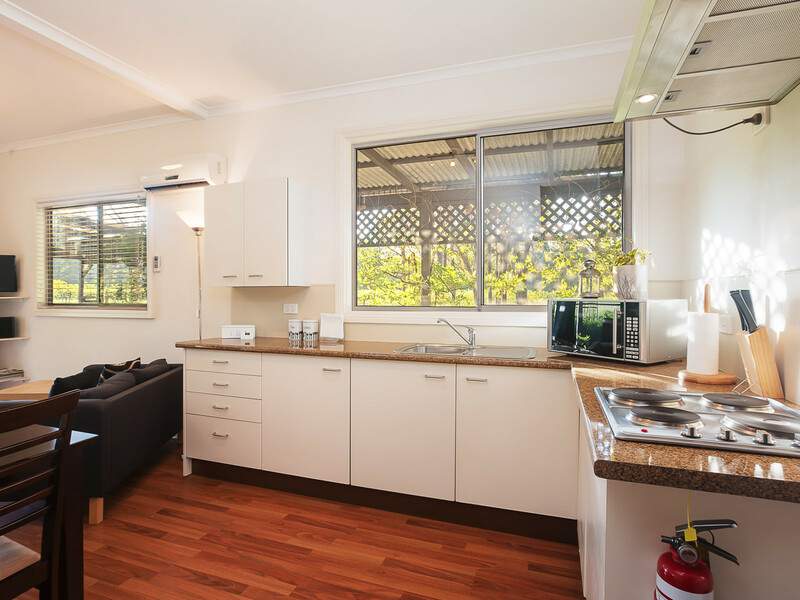 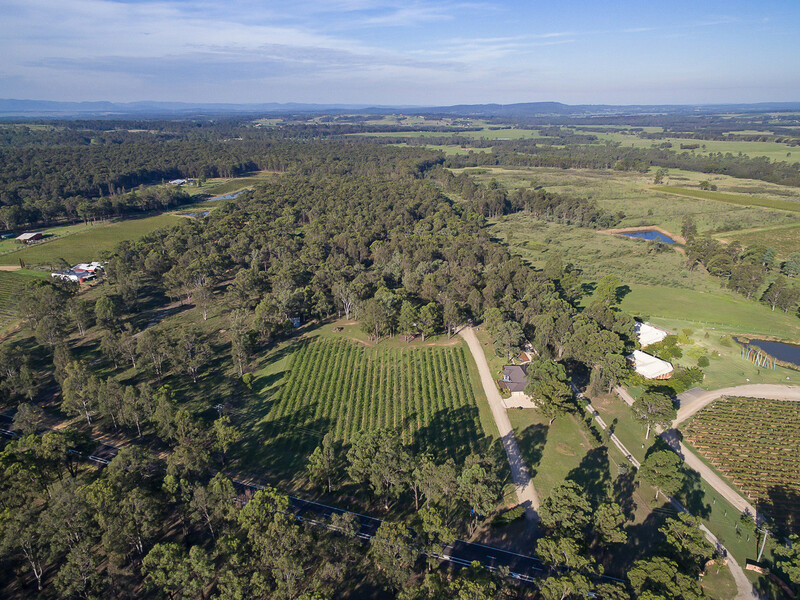 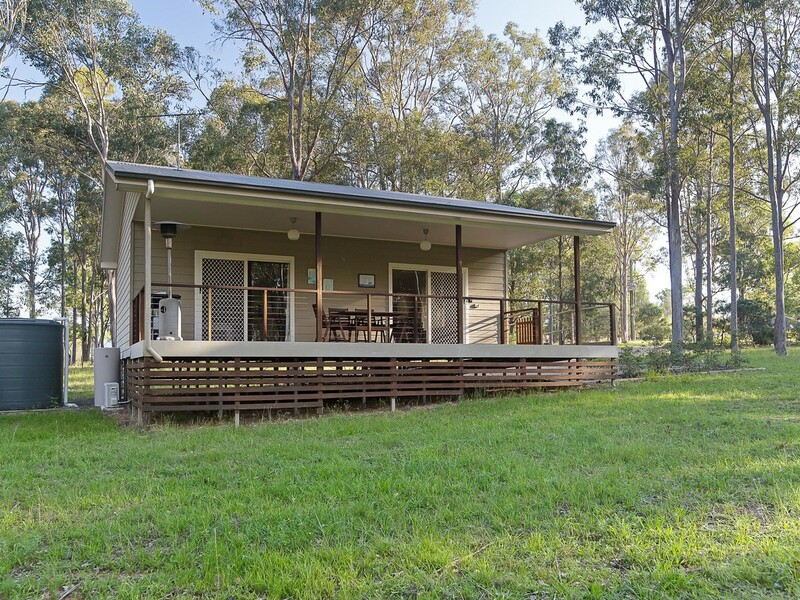 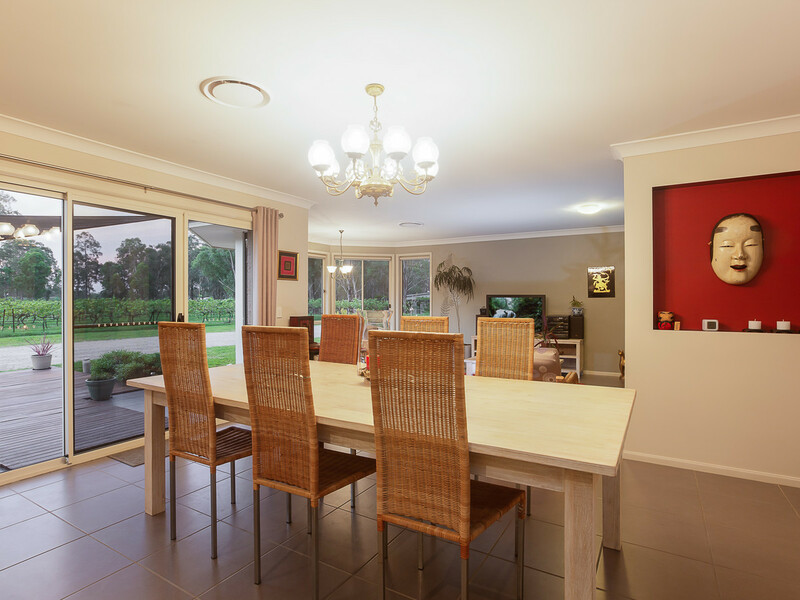 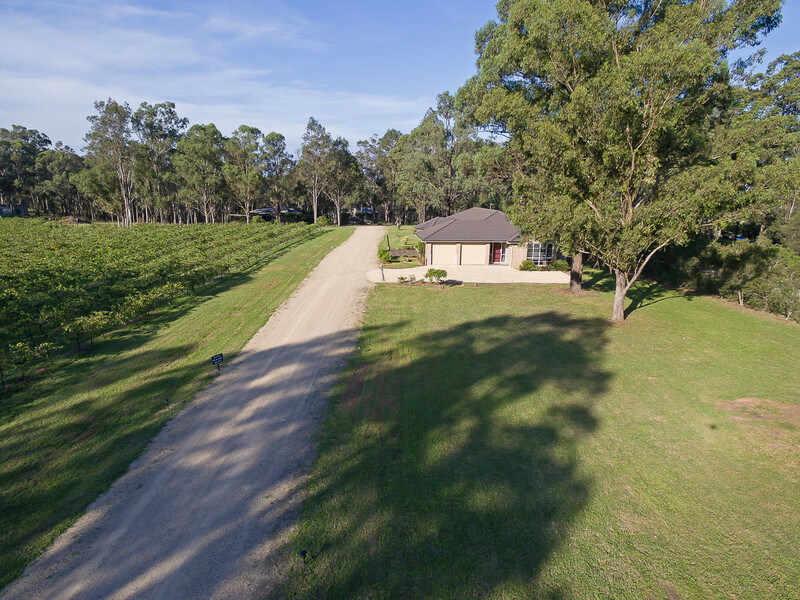 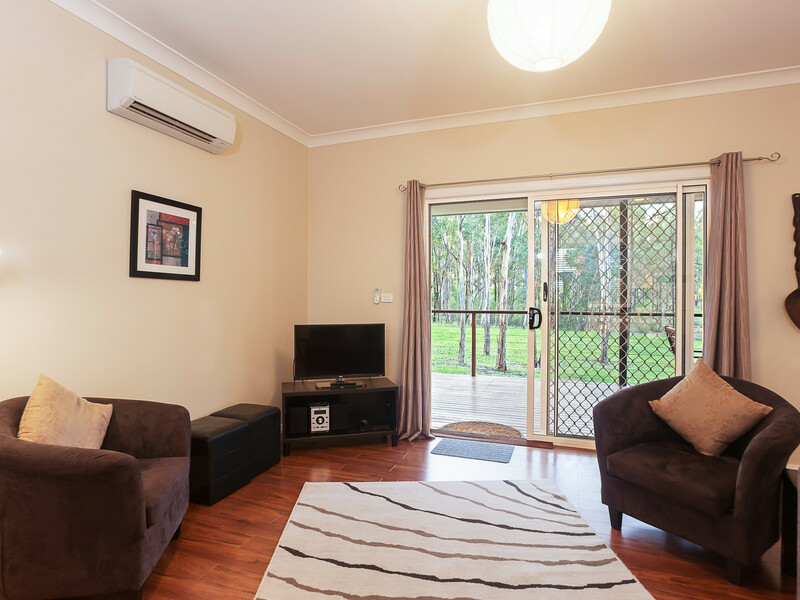 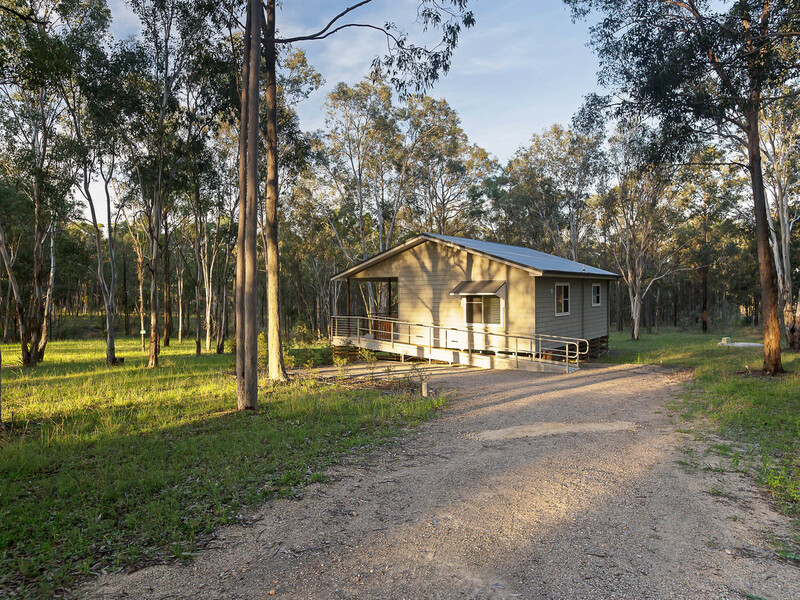 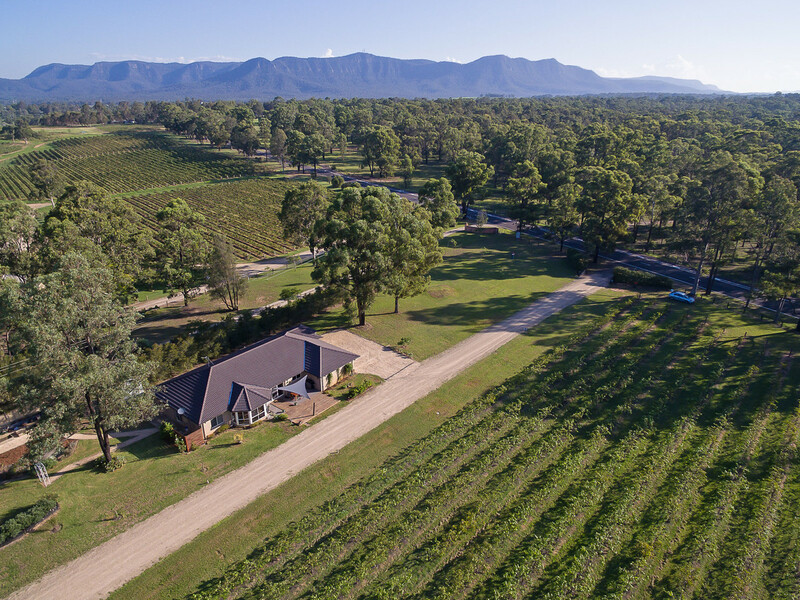 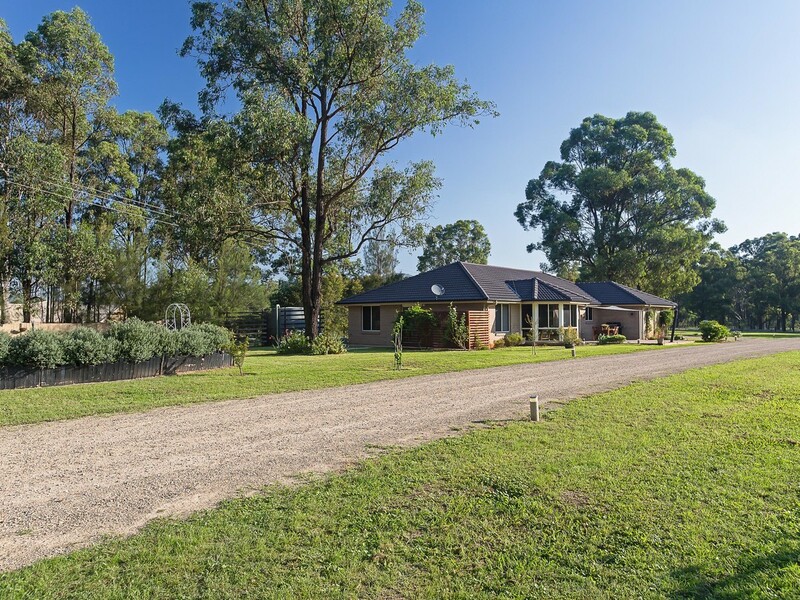 Set on 25 park-like acres along one of the Hunter Valley’s most picturesque tourist trails, this property offers an almost new four bedroom family home, a two bedroom tourist cottage, a one bedroom tourist cottage, a hobby-sized Shiraz vineyard and spectacular scenery. 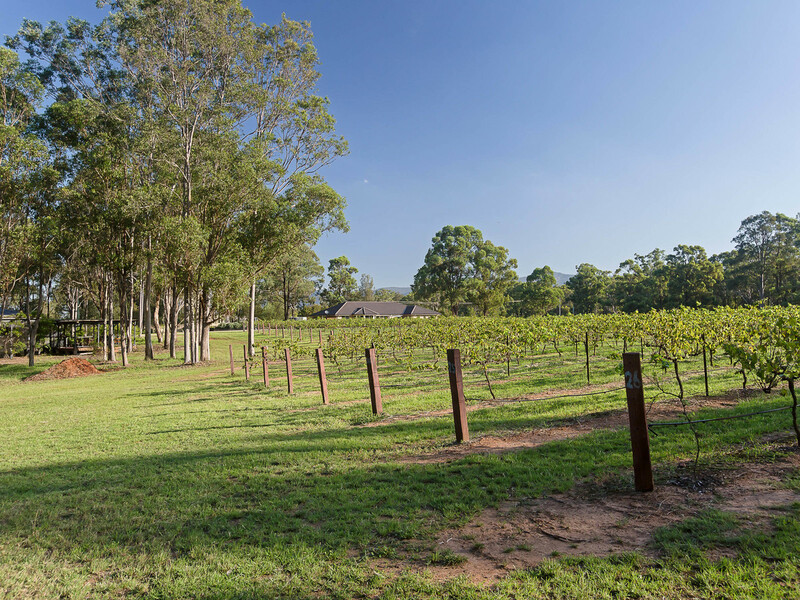 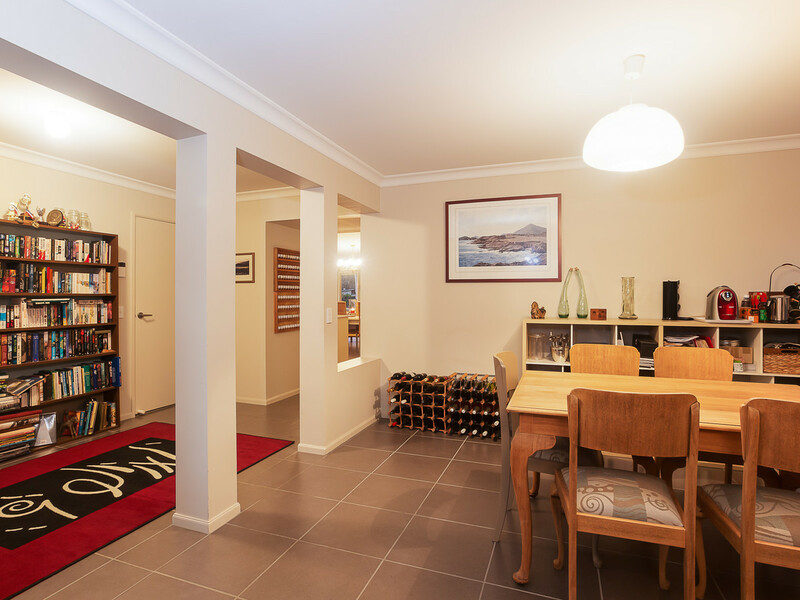 Surrounded by vineyards, restaurants and concert venues, the property is only 2 hours from Sydney and 1 hour from Newcastle on the Hunter Expressway. 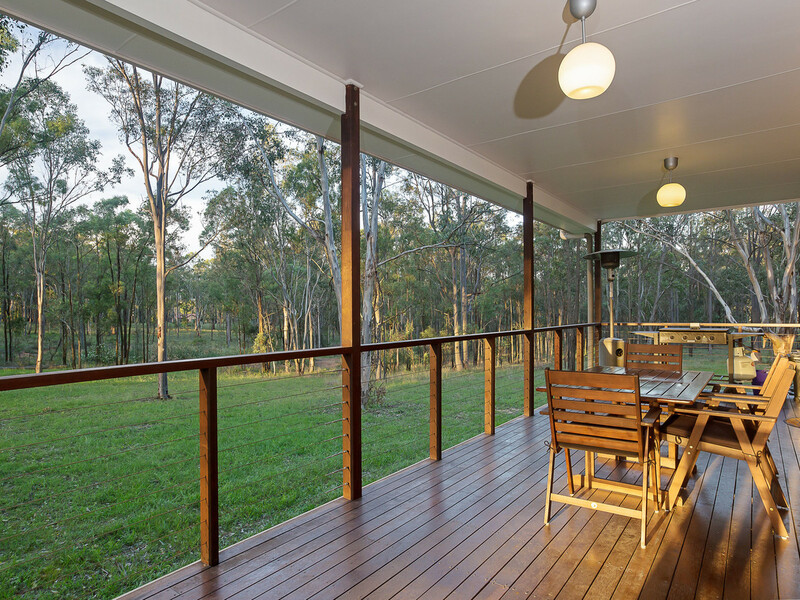 The main homestead has only recently been completed and offers beautiful modern finishes throughout. 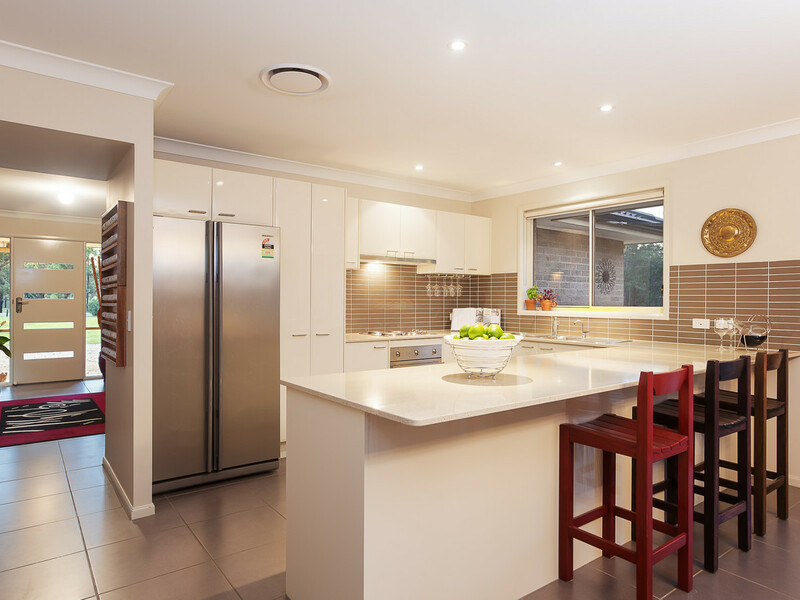 Two large open living spaces are connected by a modern kitchen with stone tops, stainless steel appliances and ample storage. 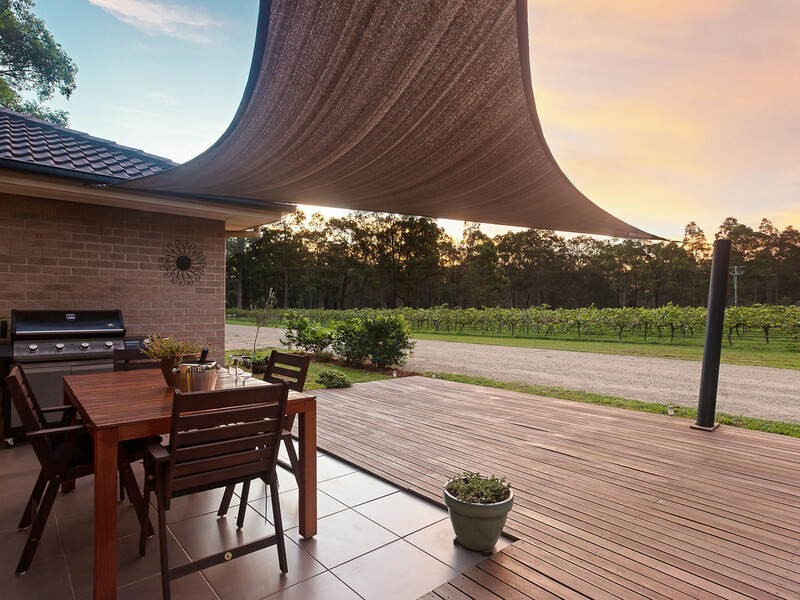 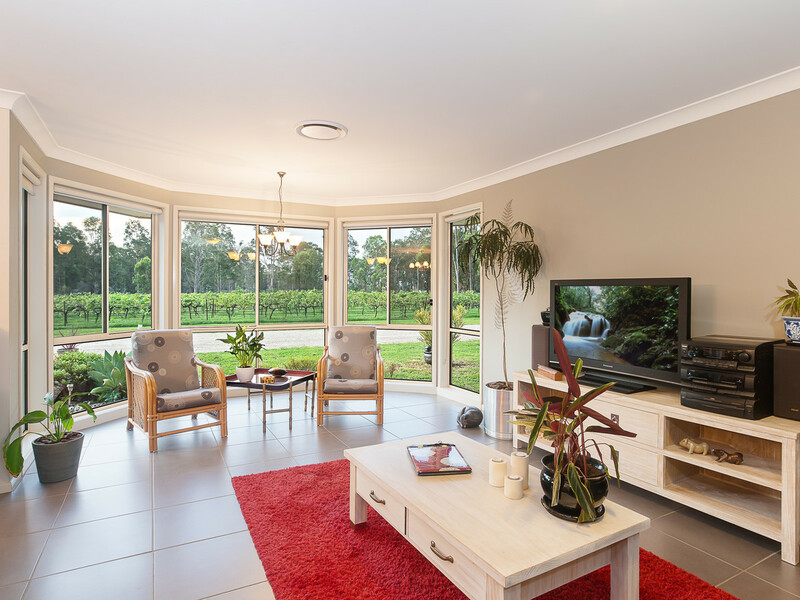 A real feature of the home is the views from the indoor and outdoor living spaces over the vineyard bringing the changing seasons and beautiful landscape inside. 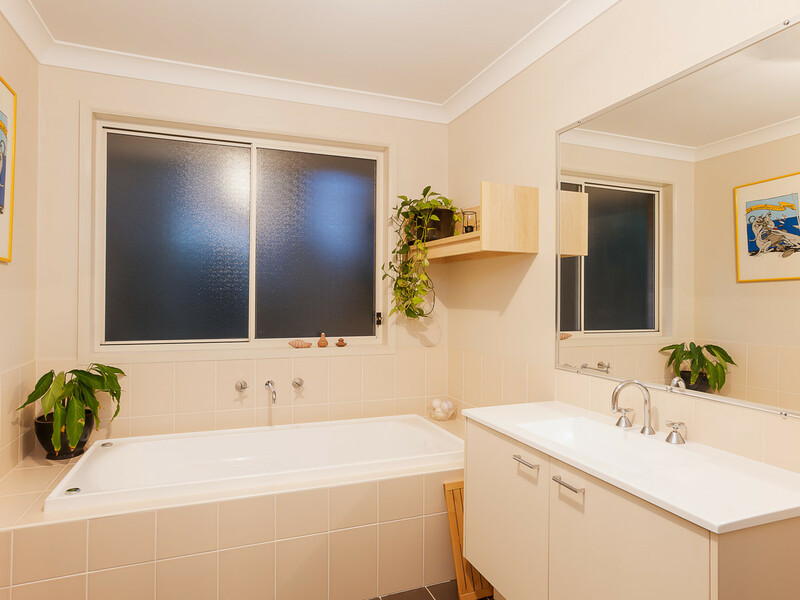 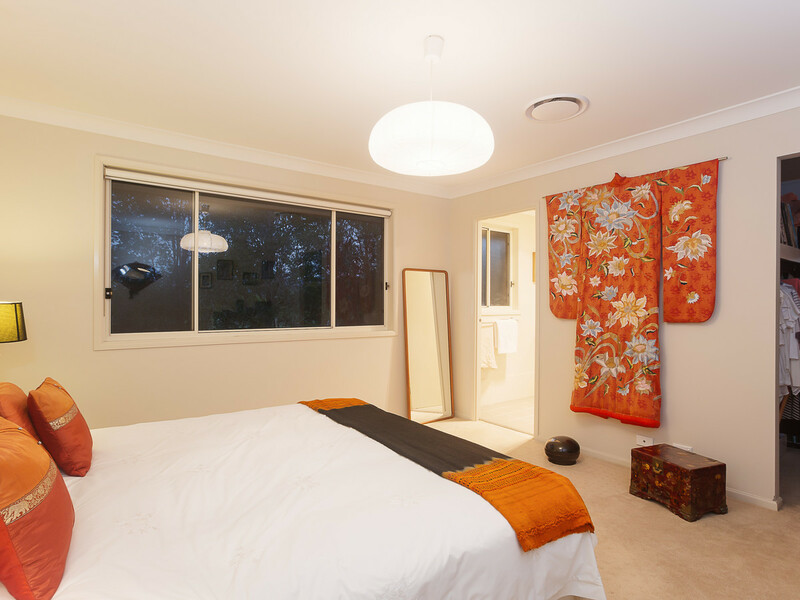 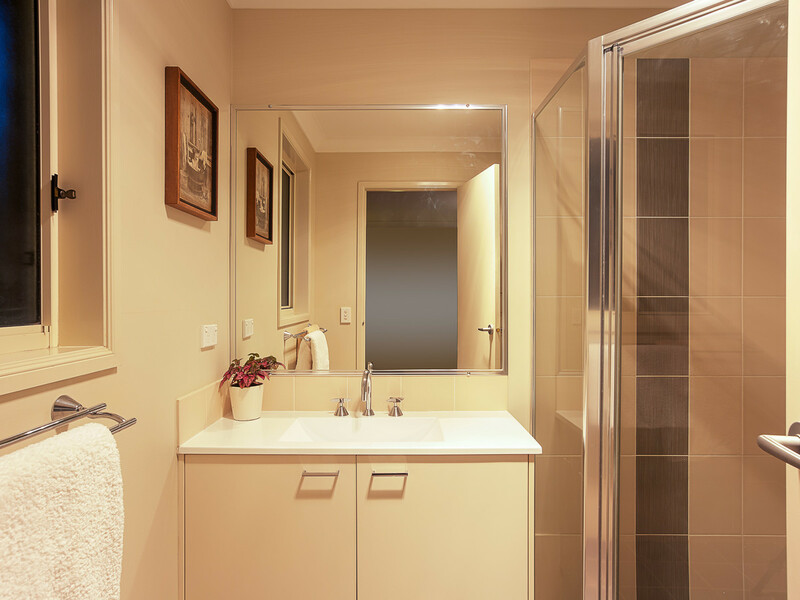 Four large bedrooms offer built-in robes and share a large main bathroom except the main suite which has its own walk-in robe and bathroom ensuite. 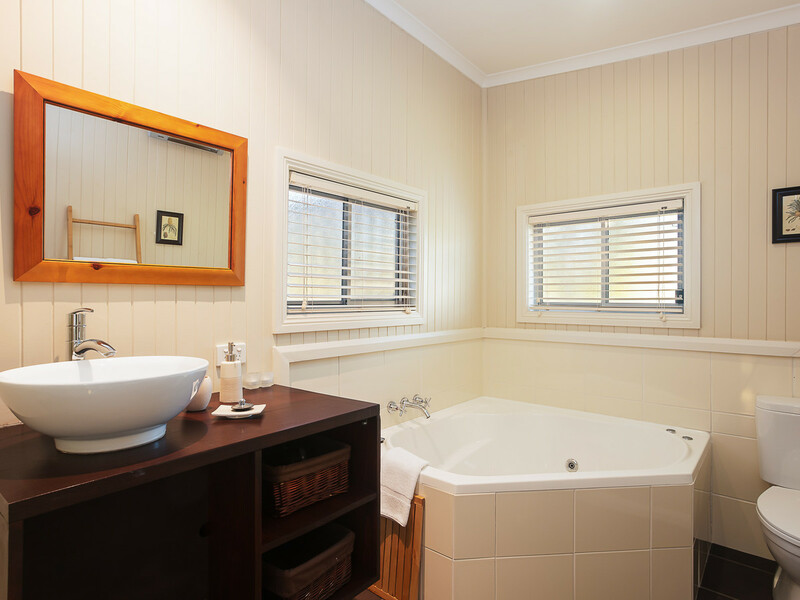 In addition to the main homestead are two lovely tourist cottages: Wisteria Cottage and Lily Pilly Cottage. 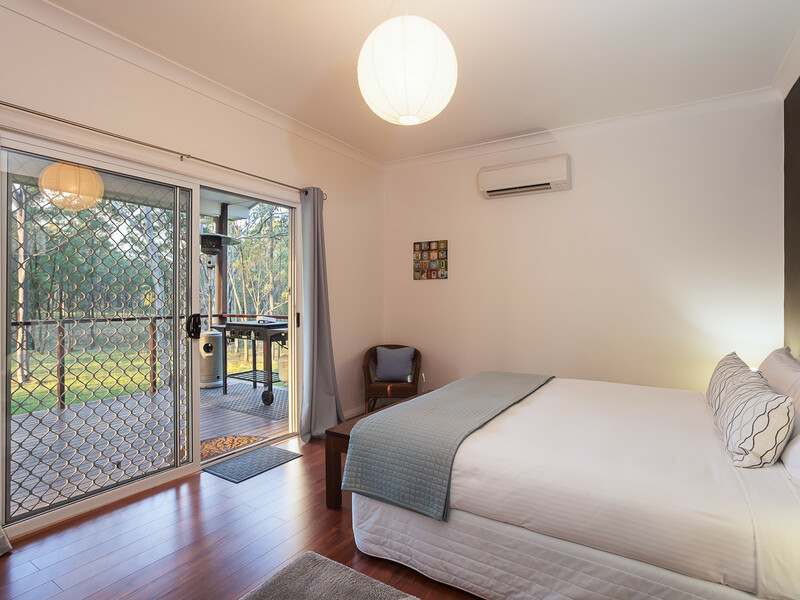 Wisteria is a fully renovated two bedroom cottage with two ensuites (one of which is a spa suite) and an open living, dining and kitchen that flows to a beautiful wisteria-covered court overlooking the pond and surrounding parkland. 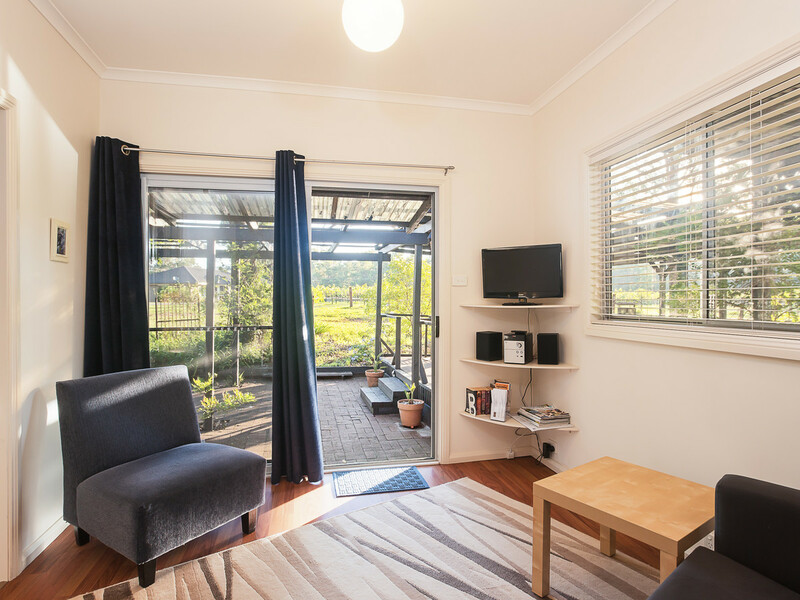 Lilly Pilly is a newly constructed one bedroom cottage with open living, dining and kitchen that again flows to a large covered deck overlooking the property. 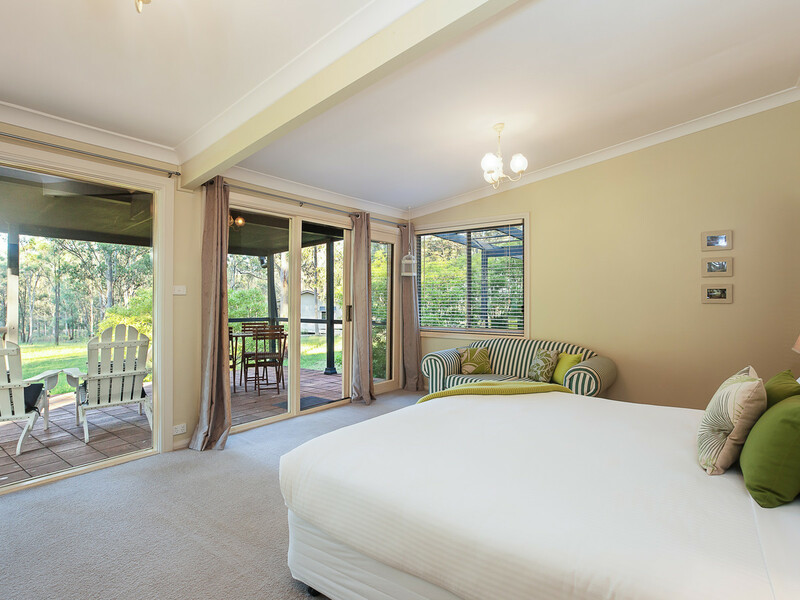 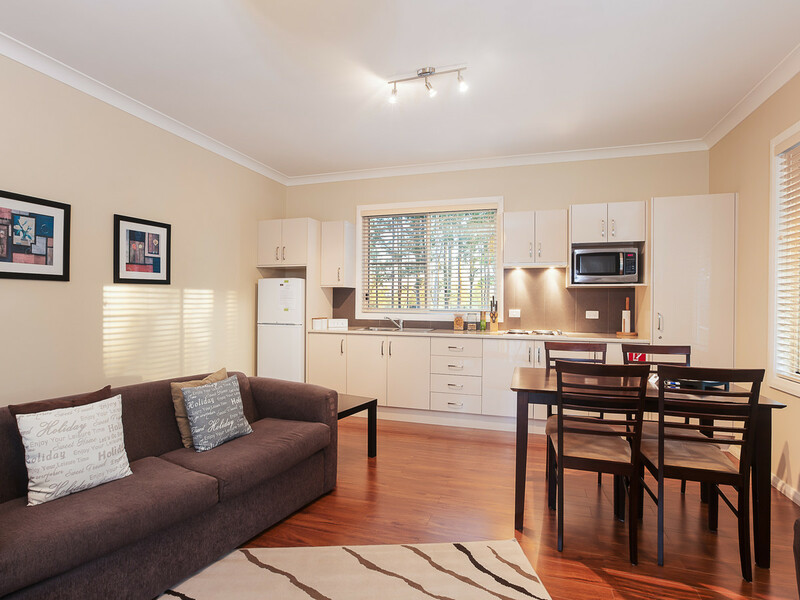 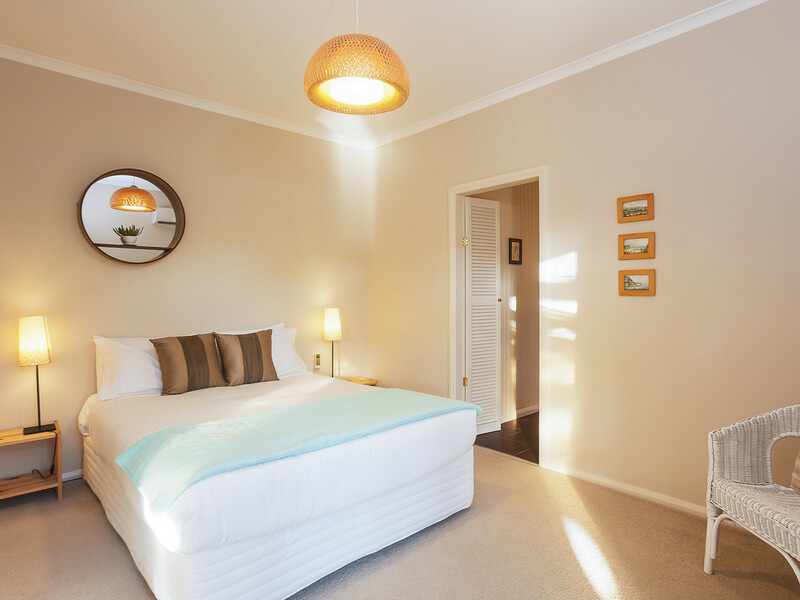 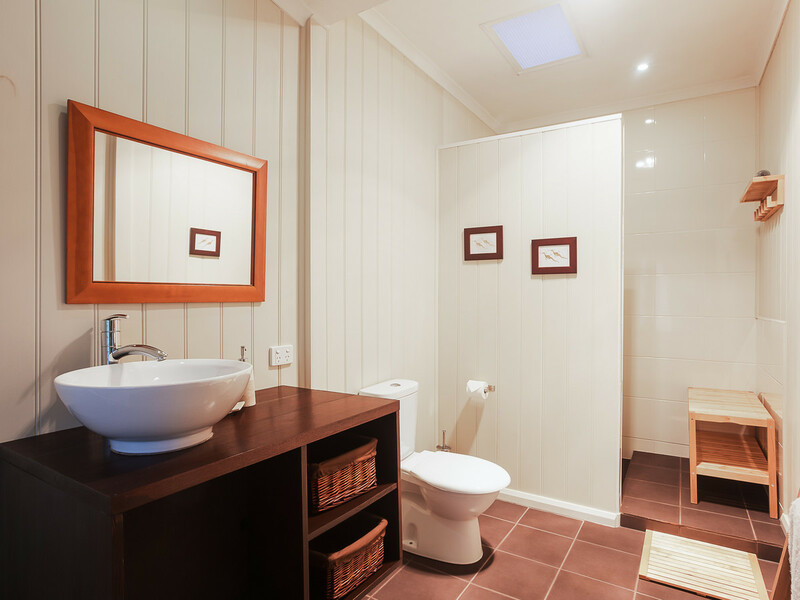 Lilly Pilly is also wheelchair friendly and offers a sofa-bed for extra guests. 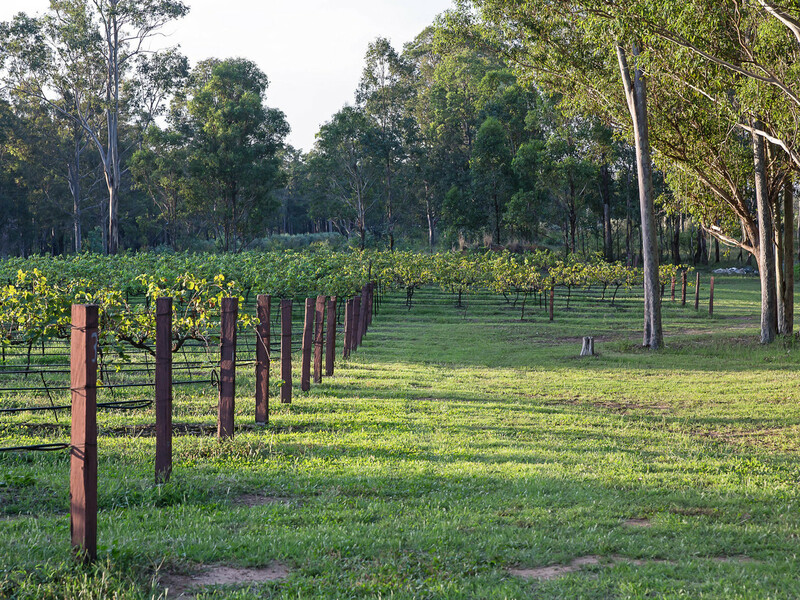 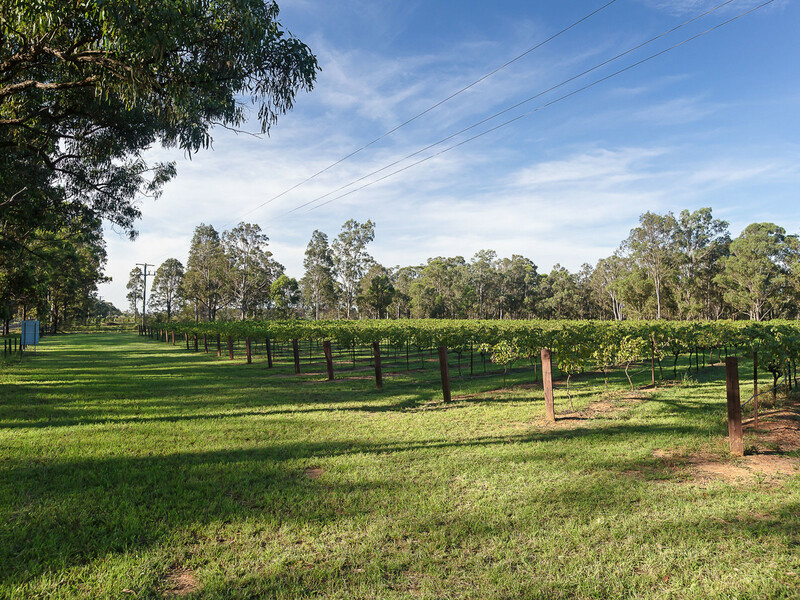 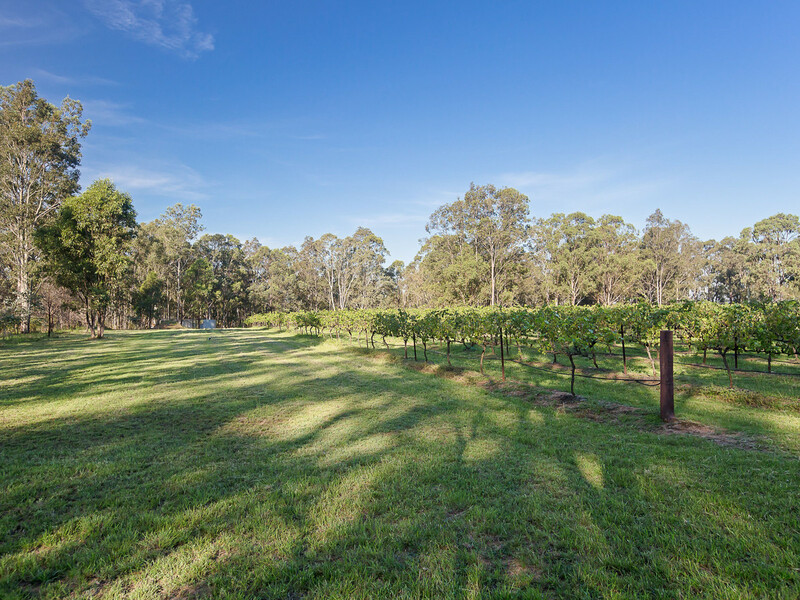 A great old Shiraz vineyard is a centre-piece of the property but is only hobby-size (just under 2 acres) which creates a beautiful aesthetic and allows you to have a bit of fun producing your own wine but without the maintenance or expense. 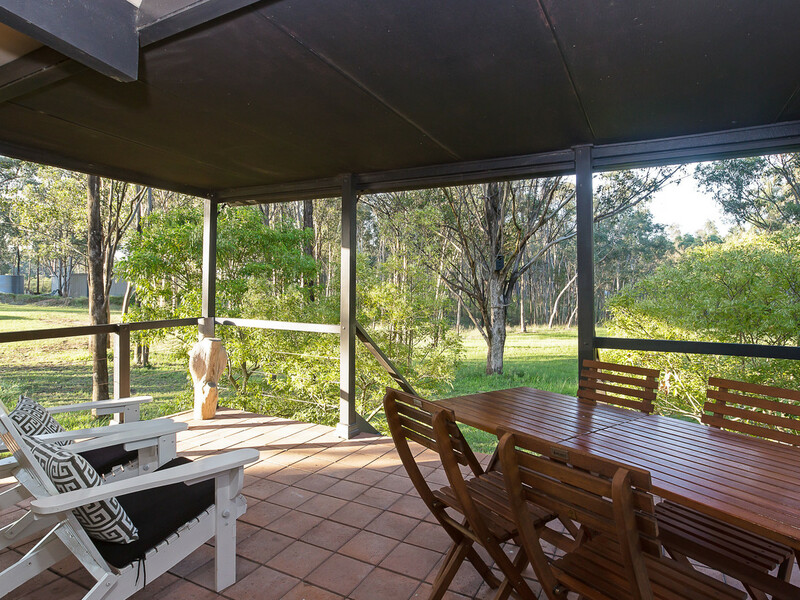 An exceptionally rare offering in the current market, be fast.